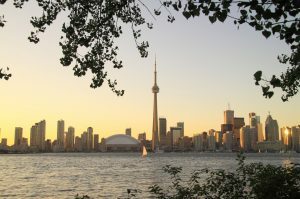 There are many tourist sites, cultural attractions, shopping venues, entertainment offerings, and dining experiences awaiting you in Toronto: the CN Tower, the Art Gallery of Ontario, the Royal Ontario Museum, the Aga Khan Museum, and many more. For things to see and lists of events, please visit Toronto Tourism website. You can also see the Official Toronto 2017 Visitor Guide. Those who enjoy shopping, Vaughan Mills Shopping Centre (near York University) offer an array of shops, dining, and accommodations. Their website provides a list of activities, promotions and hotel packages. Toronto is the home of one of the largest Portuguese-speaking communities in the world. Delegates would enjoy visiting Little Portugal, a vibrant area that features many traditional and innovative shops, businesses and restaurants. York University’s subway station opens December 2017 offering direct routes to downtown Toronto. Those interested in the history of the Portuguese in Toronto should consult the Portuguese Canadian History Project (PCHP) digital walking tour of Toronto’s early Portuguese neighbourhoods. A walking tour will be organized for conference delegates. 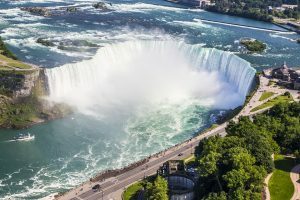 For delegates wishing to extend their stay in Ontario, plan a day trip to Niagara Falls, the McMichael Canadian Art Collection in Kleinburg (50th anniversary! ), the Stratford Shakespearean Festival, or the Shaw Festival in Niagara-on-the-Lake, or take a longer trip to Ottawa, Canada’s capital city, or even Algonquin Park for some wilderness experience. For more information about tourist sites in Ontario, please visit Official Website of Tourism in Ontario. For detailed information about Toronto Pearson International Airport, Billy Bishop Toronto City Airport, VIA Rail Canada, GO Transit (trains and buses connecting Toronto and surrounding communities), Greyhound Bus, Coach Canada, and Union-Pearson Express (UP Express), please visit City of Toronto website. For detailed information about public transportation, including Toronto Transit Commission (TTC) subways and buses, GO Transit (trains and buses connecting Toronto and surrounding communities), taxis, cycling, and walking, please visit City of Toronto website. York University is the third-largest university in Canada: it has 53,000 students, 7,000 faculty and staff, 295,000 alumni, 6,200 international students from 178 countries, and 200 university partnerships around the world. York’s Keele Campus is a small city! York Lanes (York’s indoor shopping mall) has a variety of restaurants as well as a convenience store, banks, drug store, medical centre, drycleaning, York’s Bookstore, and other services. For full information about the services available and the hours of each business, please visit York Lanes website. For information on more than 40 on-campus food service locations “serving a wide range of healthy, wholesome and adventurous cuisine,” please see the Dining Directory. For on- and nearby off-campus dining opportunities, please see reviews by visiting reviews for Restaurants in York University, North York, Toronto. For those of you who would like to take advantage of the many cultural, shopping, entertainment, and dining opportunities available in and around Toronto, you can consider getting a Presto Card, which enables everyone to take advantage of public transportation to get from York’s Keele Campus to the heart of Toronto either for self-directed explorations of Toronto and area. The Presto Card covers travel on the subway and buses of the TTC (Toronto Transit Commission) as well as travel on GO buses and trains linking Toronto with surrounding communities. You may use this convenient card throughout the conference, topping it up with additional funds if extra trips are desired. For more information about the Presto Card, please visit the Presto website.